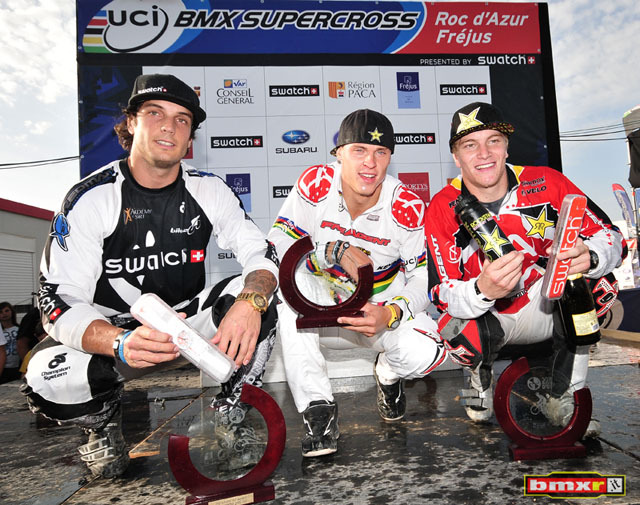 Maris Strombergs Finally back home... Had a great weekend in France Frejus, won the last SX race of the year and SX title as well! Feels damn good, despite temperature, runny noise and rest of the stuff what comes with that, it just made this race and title even more special! I think its time for well earned couple of days off! Hot tea, nasal drops,cough drops for next few days and then back to work! Jelle van Gorkom Rounded out the season with another semi final, at the afterparty now.. Holidays!!!!!!!!!!!!! Sander Bisseling Sore body and head after my crash in Frejus, hard to see on video what exactly happened, still thinking it was the wind..
Kristaps Vinters had first experience in SX, did a good 2nd qualification lap, i'm happy with result, caught the feeling so.. next year! Romain Riccardi c'est la fin d'une longue saison!!!!!!! et le début d'une courte pause!!!! 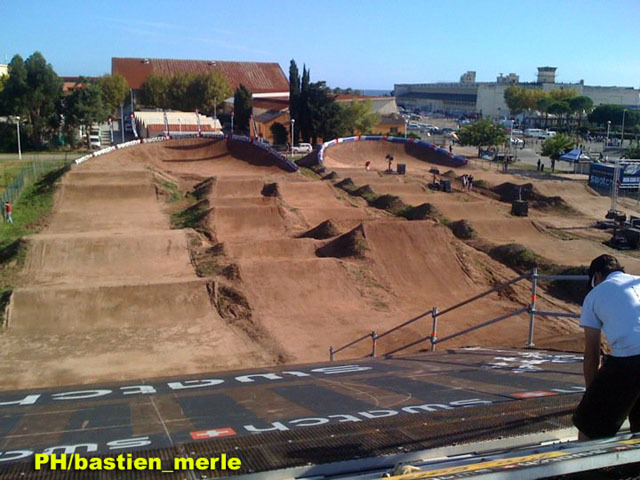 Merle van Benthem Back home from Frejus. Watching this SX was harder than i thought.. Already excited for next season!! Francky Gagnu Et encore troi moto au SX de Fréjus ... du boulot. No pain, no main!!!!!!!!!!!! 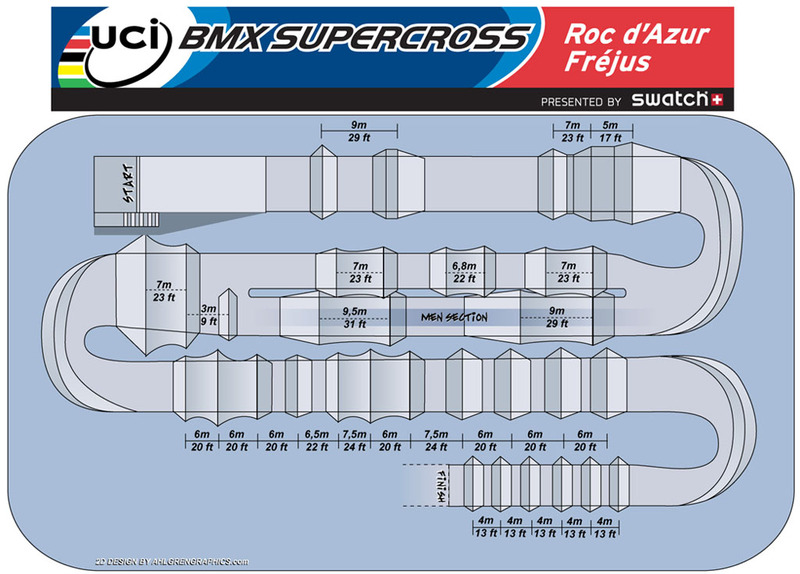 Joyce Seesing Got 6th at the Frejus worldcup yesterday! Heading home today =). oggi trasferimento a FREJUS! aggiornamenti in diretta da domani! Donny Robinson (ha avuto l'ok dai medici per ricominciare gli allenamenti!) BMX ride, road bike ride, push ups and now I can't move anything but my face- and it's still all smiles. 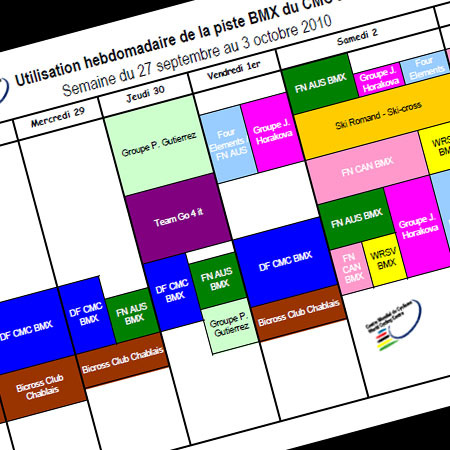 Raymon van der Biezen Just updated www.raymonvdbiezen.com Now packing my last stuff for the last UCI BMX Supercross in Frejus! Martijn Scherpen On my way to the airport leaving for Frejus for the last Worldcup of 2010!! 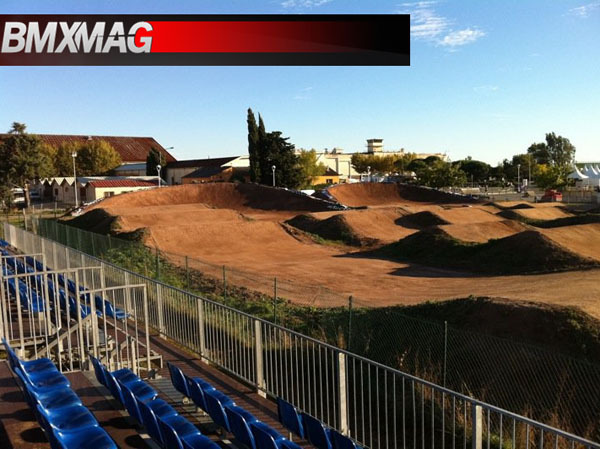 05/10/2010 iniziata la costruzione della pista! Shanaze Reade Bag packing! 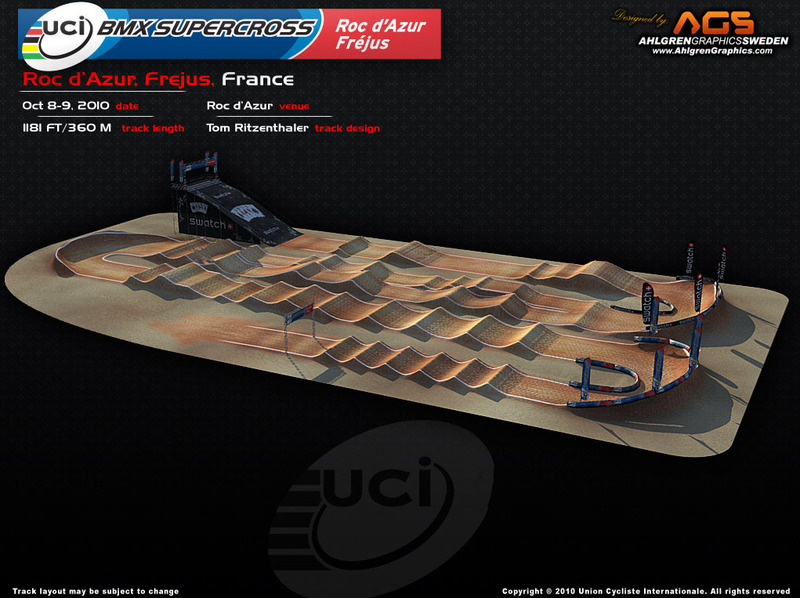 Frejus here i come........ Sooo wish i was racing! Luke Madill Finally in France after a 9 hour flight to Bangkok, 12 hours to London then 2 hours to Nice. 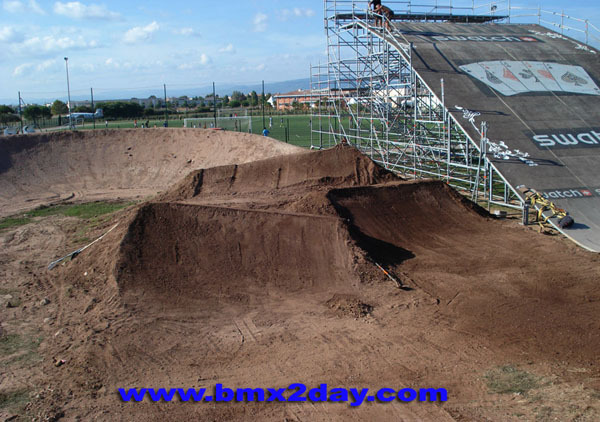 Josh Meyers morning ride sesh at Ste.Maxime good fun track then a mean ol american football sesh at the beach across the street from the hotel with everyone. dinner bed then rest day. Emilio Falla Frejus, france! The weather is much better today! Weston Pope Heading out to Frejus, France this morning, UCI BMX. Got some good music, a few movies and of course, the never ending supply of studying to help keep me busy on the travel. Corben Sharrah good ol france!!! how nice it is to be here again for the ending of another great supercross season!! time to do some ridin at a local track then a ride around town!! pretty stoked!! Kristers Lejins Packing bags and heading out to France. Maris Strombergs Despite I had to wake up early this morning and had to go to Orange Y for the State championhip finals, it was a fun day over there with all the Rockstar buddies and all the kids at the track! I really enjoyed that! Next stop -> Supercross race in France, Frejus! Rob van den Wildenberg Packing bags for Supercross Frejus this weekend. Looking forward to race a Supercross track again! Always nice to visit the Cote d'Azure. Sifiso Nhlapo Off to france tomorrow for the finale round of the sx series this weekend. 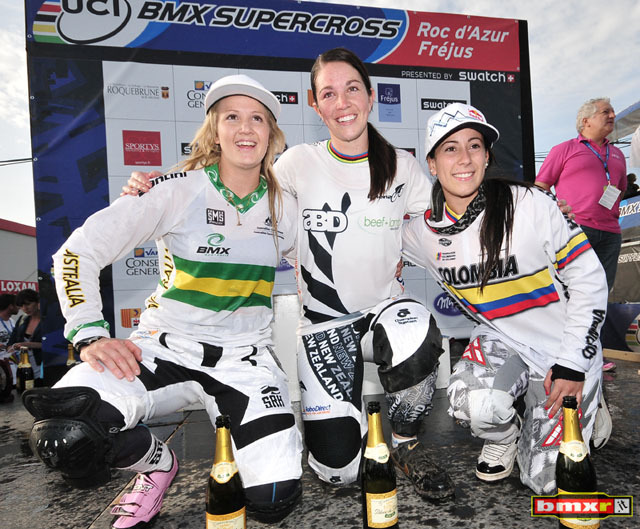 Stefany Hernandez en Francia, ya se aproxima lo que sera la IV Copa Mundial UCI de Supercross... rider ready??? Frejus perde una delle possibili protagoniste: l'olandese Merle van Benthem, campionessa mondiale Junior in Sudafrica. La brutta caduta nel SX di Chula Vista sembrava non avesse provocato altro se non una forte commozione cerebrale, invece oggi, a seguito di un ulteriore controllo è emersa una frattura alla mano. Merle van Benthem Thought i only had a big concussion from my crash in Chula Vista but i visit the hospital today & i broke my hand too because of that crash! Dominique Daniels Its off to Belgium and France avec moi. Wish me bon chance :P Excitement!!! Pierre- Henri Sauze Bientôt Fréjus !!!!!!!!!!! 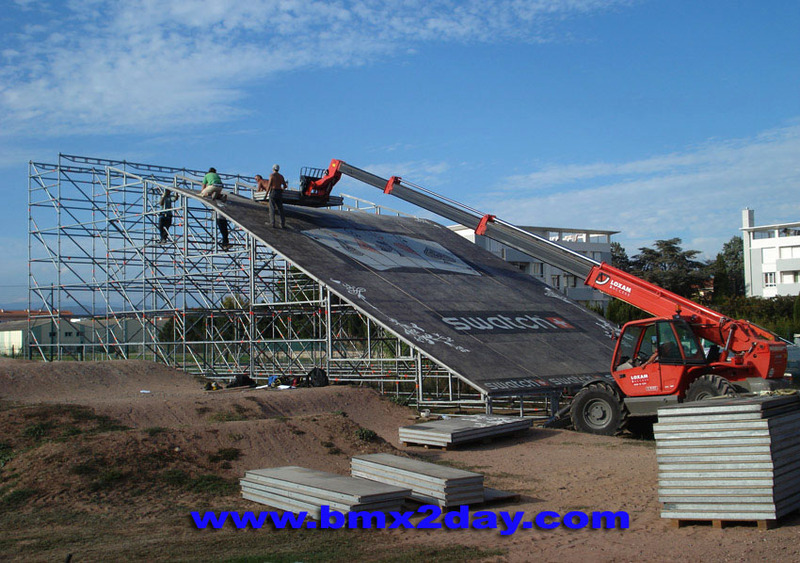 Vendredi et Samedi course et Dimanche stage!!!!!!!!!! AIGLE - c'è il TUTTO ESAURITO alla pista SX del Centro Mondiale di Ciclismo (WCC) in Svizzera: oltre al gruppo dell'UCI con Allier, ci sono gli australiani, i canadesi, i cechi, i tedeschi, un gruppo con Caprili, un altro gruppo con Gutierrez, perfino la squadra svizzera di ski-cross. 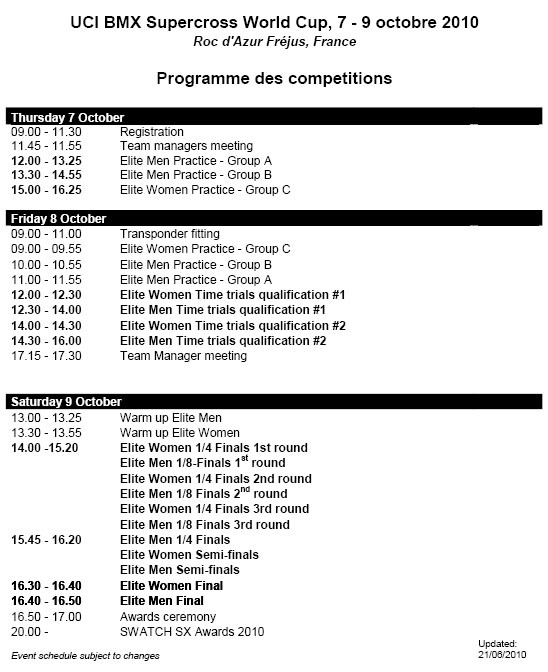 La settimana prossima sarà la volta del team Intense Europe e della nazionale svizzera. Sam Willoughby What do you do when you are on the Italian and Swiss border in the middle of the mountains and the GPS takes you to a ghetto little train station and says get on the Ferry???? We were confused today but, we made it to Aigle!